This is a massive understatement. What I felt was an overwhelming, tremendous sense of welcome– in a place where blood ties run thick with importance, the residents of Silai saw me for the most part as the next generation, a direct descendant of a local celebrity, who had finally come back to claim her roots and inherit Thomas Liao’s legacy. When I went to visit Pastor Du at the Silai Presbyterian Church, and see if he had “any materials” on the Liao family, he pulled out a veritable self-made archive: a huge stack of papers, binders full of clippings, and envelopes full of family documents and every mention of the Liao family in the news in recent history. Seeing the stack of stuff on his table, which he kindly and simply offered to me, without a second thought, I wondered how long he had collected these documents, waiting for someone–anyone!– from the Liao family to come visit, and ask, and care. 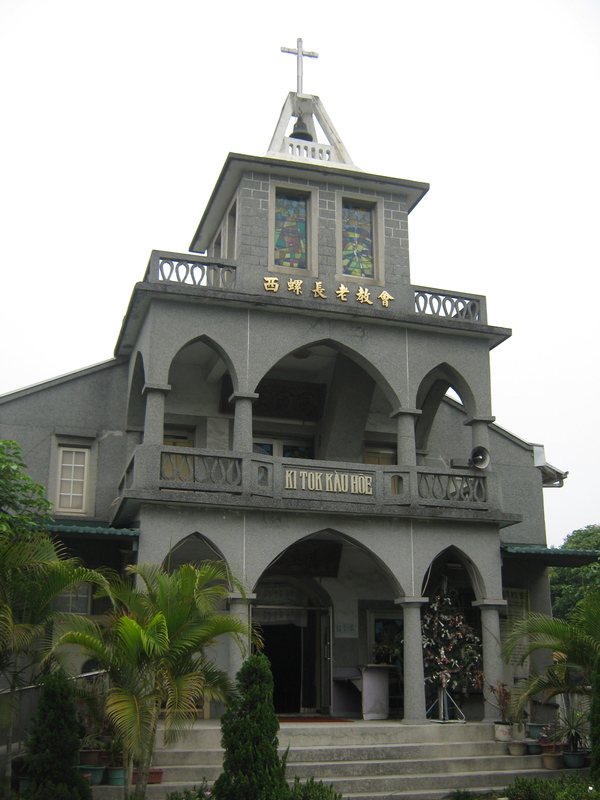 The Silai Presbyterian Church (長老教會), which the Liao family donated land and money to establish in Silai, way back in the very early 1900's. When I visited the church for Sunday services, Pastor Du introduced me to the congregation and invited me to say a few words about my research and the Liao family. 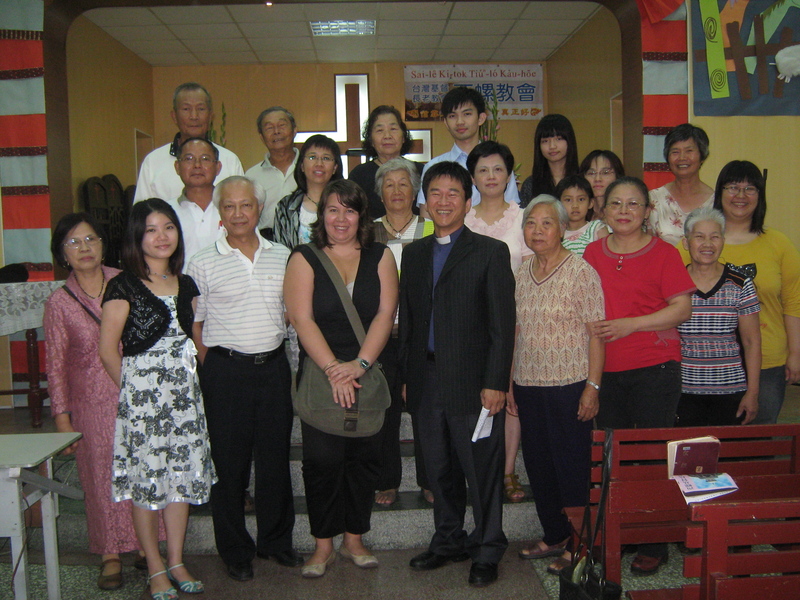 Then I took a picture with many of the members of the church. Thanks for the warm welcome! In the Silai area, everyone knows everyone. 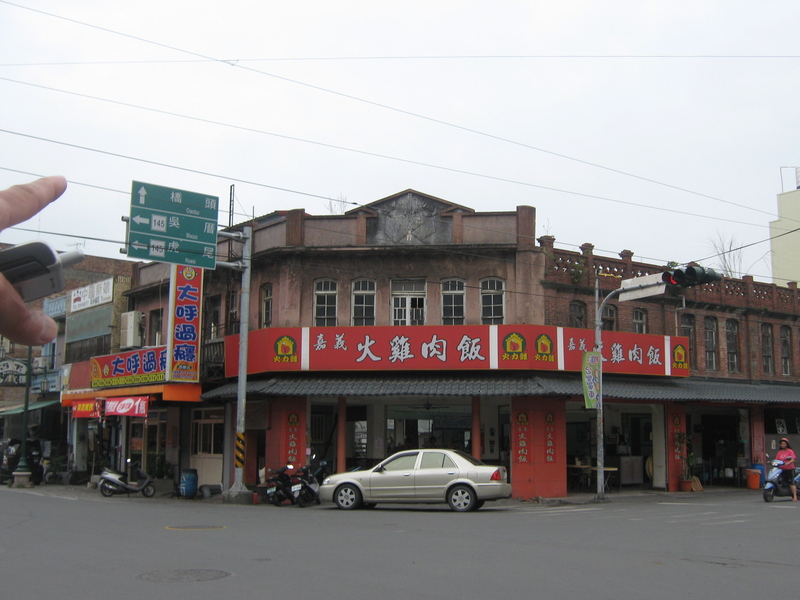 My host, Stella Chen, introduced me to her friends who all knew people in Silai, so in one afternoon I met the mayor, director of the Luoyang Historical Society, and several other important players in helping me uncover my family history in the southern middle part of Taiwan. Enter Gary, a friend's professor's son, who is trilingual and getting ready to go to college in California. 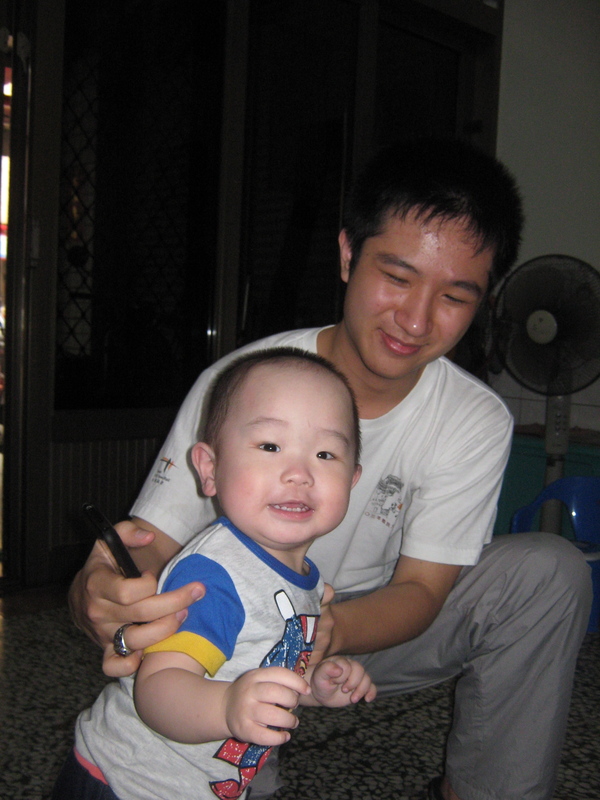 After spending a day with his family tooling around Chiayi and playing with his adorable nephew, I realized he would be the perfect Taiwanese language translator/guide/research assistant. Sherlock, meet Watson! Research sidekick: found. With Ms. He, the director of Luoyang Historical Society, and Zhang Laoshi, a retired teacher who gives volunteer tours, we walked around the premises of the former Liao family ancestral home. Zhang Laoshi explained in great depth where each facet of the palatial house was, and drew me a detailed map which he gave me the next day. "And over here, in this corner, was where Thomas Liao built a new house that he called, 'The Castle!'" "This house?" 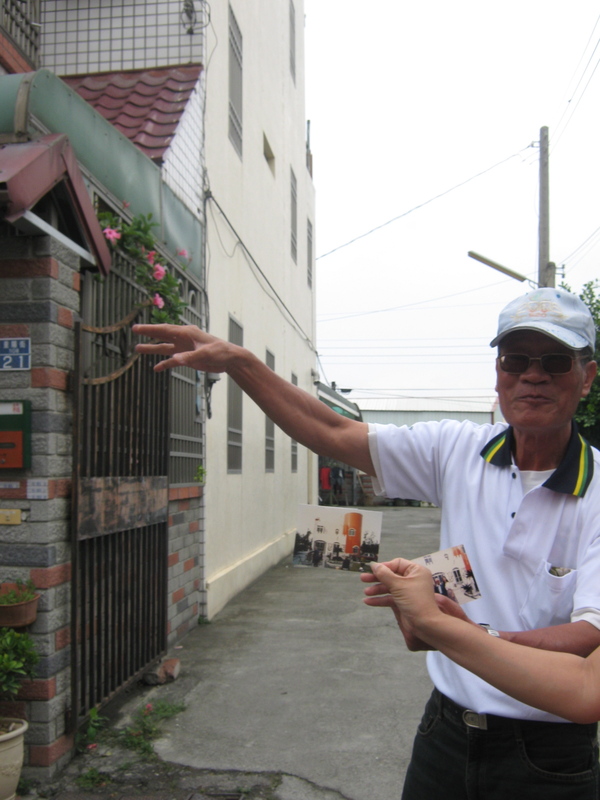 I asked, holding up a photo of when my parents visited the ancestral home in the 1980s. "Yes, that house! That picture would have been taken right there." 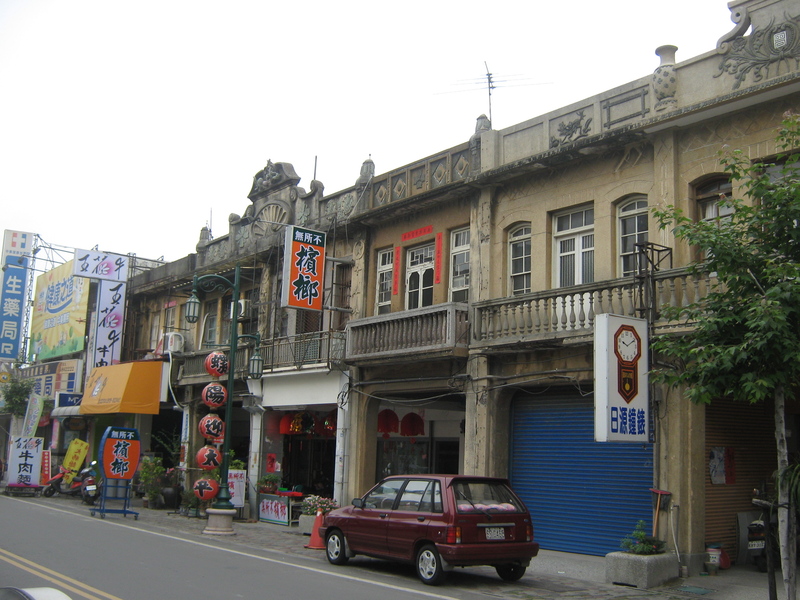 The former corner of the Liao Ancestral Home, with the last remaining structure from the original stone work. The top stone ramparts are the original, built by Liao Cheng-Pi, Thomas's father. On the first floor is now a food stand that sells chicken rice. With Ms. He and Gary, after a long day's work discovering the past. 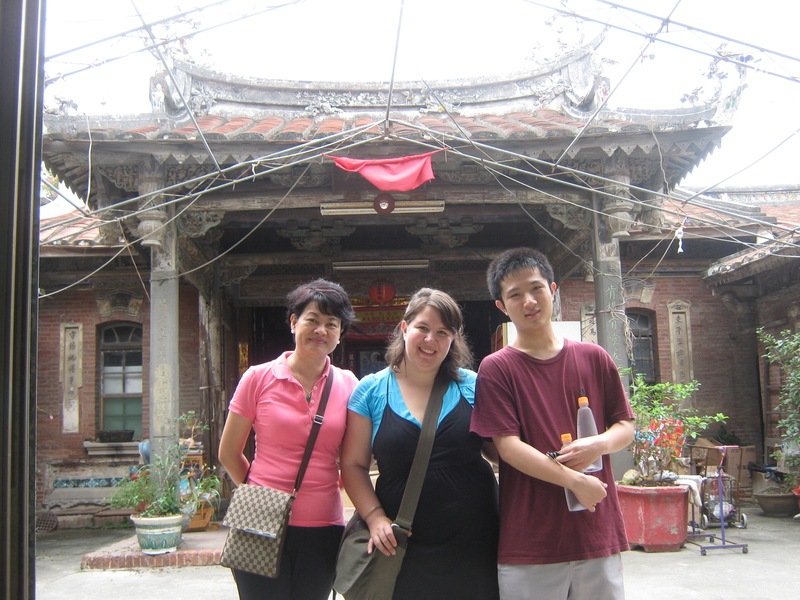 Stay tuned for the next post: Silai Architecture Walking Tour! 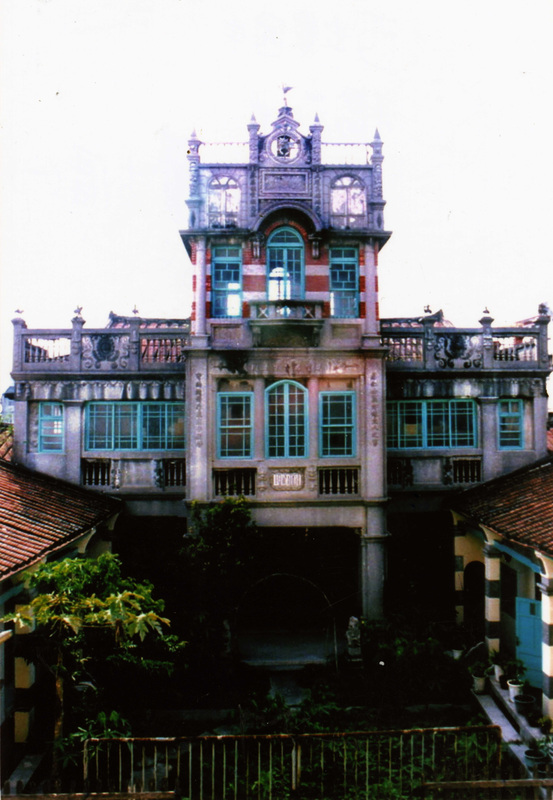 So cool to see Silai and the old Liao family home (“Castle”? Amazing.)! I love the tagline you told your former roommate (cough, me assume), and hope you use it on the cover of your book (and also as a tagline of the movie that will be made based on the book)! “To Americans, this story is about finding my identity. 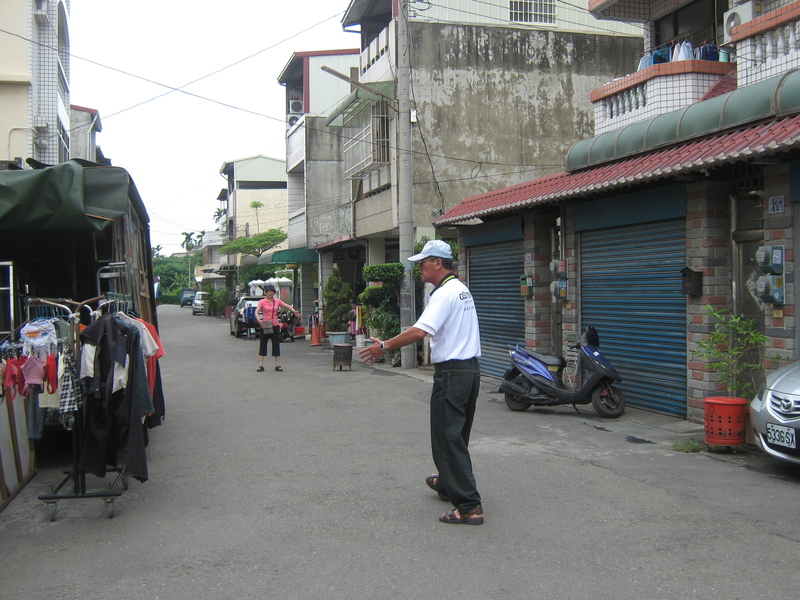 To Taiwanese, this story is about coming home.” — That is beautiful! (It feels just the same to come back to Ohio…) And also as a former roommate, I must say I’d be happy to be a blurber for this book. Really, I’m excited to read your work and do expect galleys. Thanks, Big L!! Thinking of you, and glad that your sense of reuniting with your roots is also a good one…. and I have always loved your reviews, positive and snarky alike!